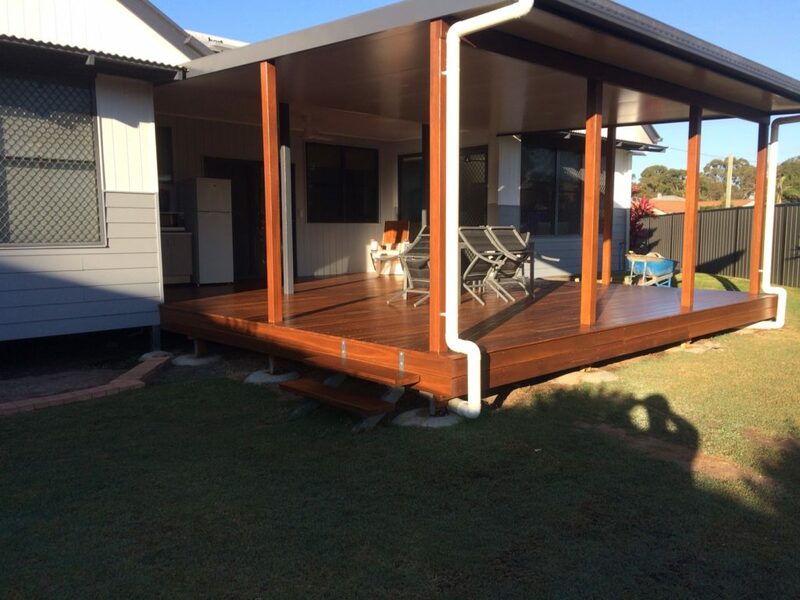 This lovely deck was created to extend the outdoor living area, by adding a beautiful and functional outdoor living space complete with guttering, stairs and roof. 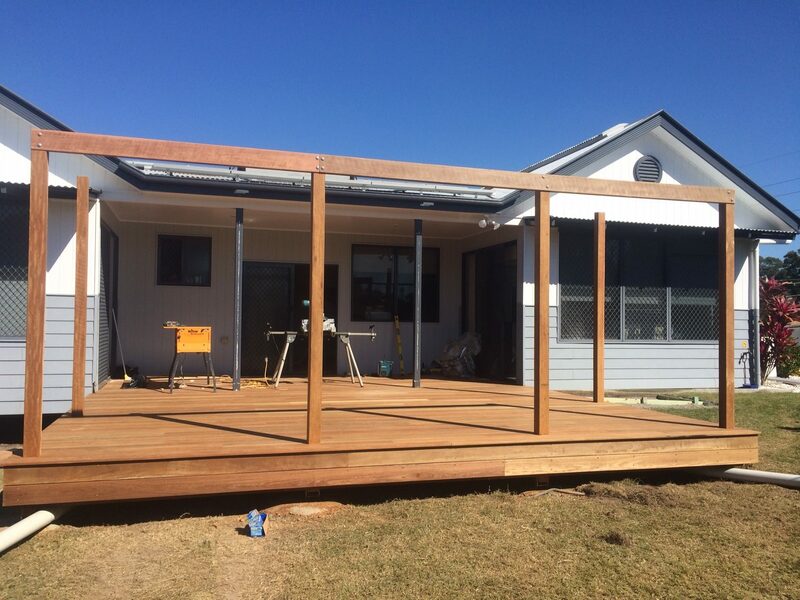 The owners will be able to enjoy the benefits of the sunny Fraser Coast weather while still being able to keep cool with the insulated Cooldeck roof. 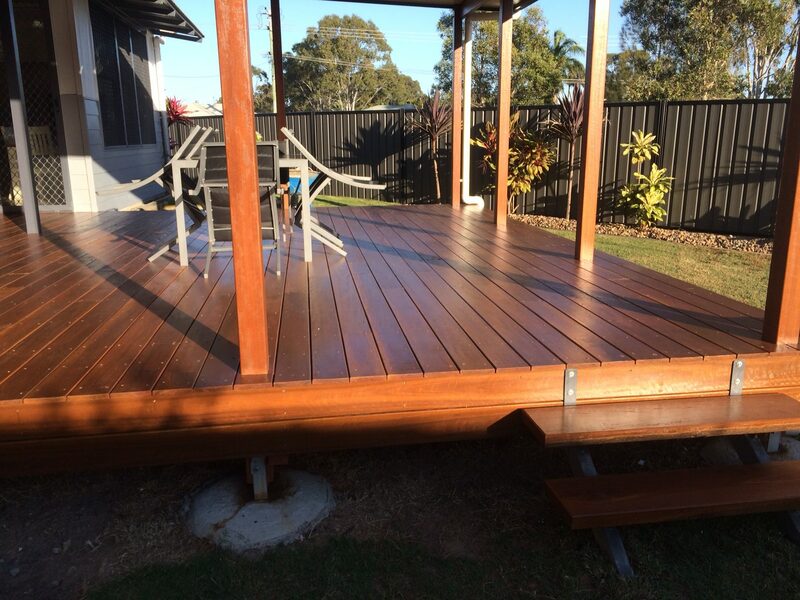 The beautiful Spotted Gum timber’s colour complimented the current scheme of the rest of the house, and adds a rustic feel to the outdoors of an eco-friendly home.